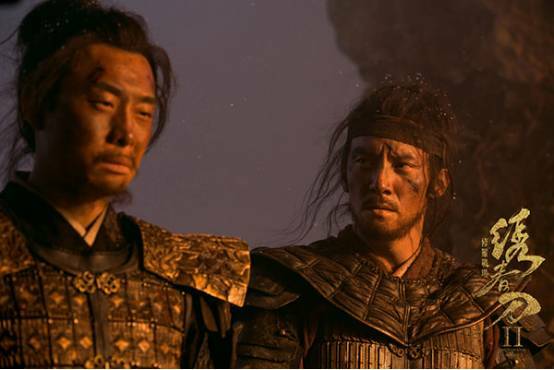 Aptly titled The Infernal Battlefield, the second instalment of the Brotherhood of Blades film series brings together a talented cast of actors in one of the best wuxia epics in recent years. The story formula hasn’t really changed since the first movie, but it’s worth watching for the cinematography and action choreography alone. Minor spoilers ahead. Chang Chen reprises his role as imperial guard (secret police) Shen Lian, who again finds himself as a miserable chess piece in a deadly power struggle between Prince Xin (Liu Duanduan) and the powerful eunuchs led by Wei Zhongxian (Chin Shi-chieh). Thanks to director Lu Yang, Chang Chen looks amazing in the film, though his character falls flat, and is quickly overshadowed by supporting characters Lu Wenzhao (Zhang Yi) and Pei Lun (Lei Jiayin). This is Zhang Yi’s first time taking up a role in a historical production, and he doesn’t disappoint. His character is one of a few survivors from a bloody battle 8 years ago, and becomes determined to transform the ways of the world. Lu Wenzhao grovels in front of the powerful and endures acts of humiliation, only to be betrayed by the very cause he believed in. Lei Jiayin has the ability to truly inhabit his character, and it’s no exception when it comes to Pei Lun, the hot-blooded and righteous guard who eventually joins Shen Lian’s gang. All the characters are connected to Prince Xin, and Liu Duanduan perfectly captures the prince’s inner struggles as he is forced to sacrifice his loyal followers on the path to the top. The female lead (Liu Shishi) from the first movie was a true flower vase who added nothing to the plot, and though I can’t say I’m that much more impressed with Yang Mi’s acting in this installment, her character is definitely more well-written. Rather than pine for a sweetheart who will probably never come to her rescue, she decides to take matters into her own hands. Overall, the story could’ve been a little tighter, though Brotherhood of Blades II is still a clear stand out among the recent crop of Chinese films. This entry was posted in Mainland China, Movies and tagged Brotherhood of Blades, Brotherhood of Blades II, Chang Chen, Chin Shi-chieh, Lei Jiayin, Liu Duanduan, Movie Review, Yang Mi, Zhang Yi by XDramasX. Bookmark the permalink. Great movie, totally agreed with your review here. 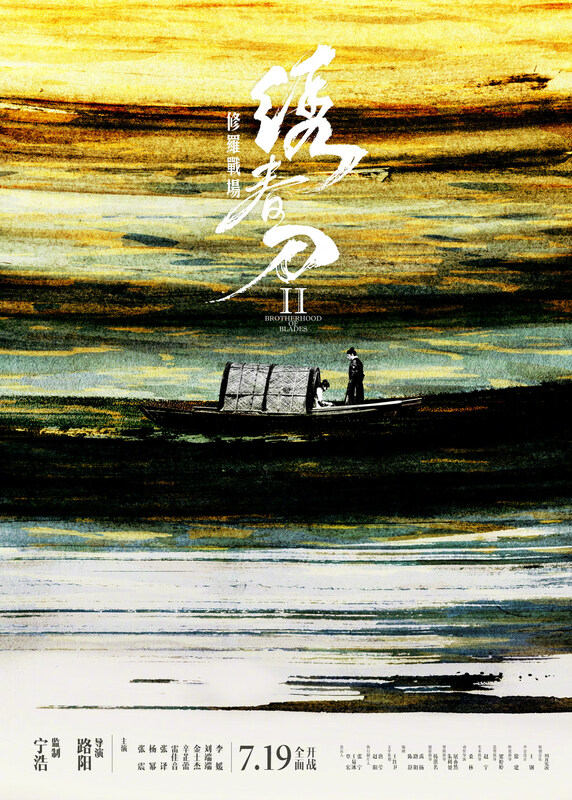 One of best wuxia movie we’ve seen in recent years really. The cinematography and action choreography are very good and so are all the supporting casts they really out did themselves. A great prequel to ShenLian characters development and we get a better written female lead character. I also have the theme/ending songs on repeat in my playlists :).. love the movie. I hope they will follow through with part 3 to end this epic trilogy.